Citral Feminized cannabis seeds are promising seeds growing beautiful plants that produce high yields with excellent taste and strong properties. Citral is Indica dominant, you can grow her outdoors with the right outdoor conditions but she actually was created to grow indoors what results in a higher yield and good quality buds. Descended from Hindu Kush makes Citral well resistant towards mould and pests and because she is mostly indica her height will be limited what makes a sea of green possible in smaller spaces. If you're a beginner grower make sure you know what you are doing to avoid disappointment, she is what we call a high maintenance but very thankful plant if she's treated right. Citral is a pretty sight because the buds have a much lighter green colour then the wide big growing leaves, buds grow thick and not too dense which is a positive thing in order to dry them properly. She spreads a sweet fruity odour with the subtle taste of hash and smoking this beauty takes you into a typical Indica feeling that slowly slides into an energetic happy buzz. 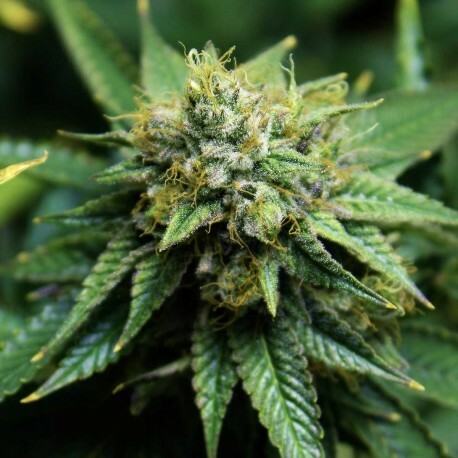 The Citral feminized seeds is a hybrid variety of marijuana from Pakistan (some say from an area in the Hindu Kush which is a small village in the region of Chitral and a Skunk variety. This Chitral valley is located in the North West part of Pakistan and is famous for charas and the high quality strains which make fantastic black hashish. This is a Pakistani Indica, which is highly resinous, andis capable of producing a very high yield even in a small space. It is capable of deliveringamazing harvest if it’s allowed to grow really tall before floweringperiod. It grows best in climates like that of the Mediterranean Regions, and that’s why the vegetative period is naturally extended. These seeds grow best when cultivated indoors with a good amount of spacing. They start flowering in less than 8 weeks. The Citrus buds are usually quite hard though sweet. The wonderful earthy and smooth, herb like flavour has a great unique smell (a lot like fabric conditioner). These plants can grow very tall and the harvest is about 425 grams a square metre. The THC levels are quite high with 15% to 20% content, which is why moderate smoking is safe and advised. The citral gives rise to hard buds, which nearly drip with resin and give an energetic body buzz that is warm and happy. This feature is quite rare for an Indica. The overall effect is stony but with a hint of high, and a sweet taste. The high is comparable to that of a fruit punch coupled with some Bacardi. The undertone flavour is definitely fruity, which is why it’s called ‘Citral’. It grows to a height of about 30 to 50 centimetres and is relatively easy to grow. I got very nice plants from your shop!